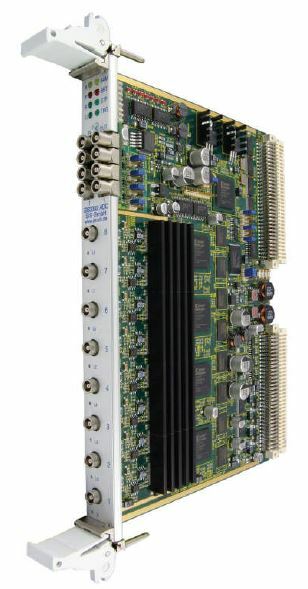 The SIS3302 is an eight channel ADC/digitizer board with a sampling rate of up to 100 MHz (for the individual channel) and a resolution of 16-bit. The board is a single width 6U VME card, which has no special (i.e. non standard VME) voltage requirements. The flexible combination of DDR2 memory technology data storage in combination with FPGA based data handling/movement allows for a generic design which covers a variety of applications.